During its annual Community Action Month in June 2018, Radisson Hotel Group activated its global partnership with SOS Children’s Villages – carrying out more than 900 activities worldwide to help support children and young people. Radisson Hotel Group, one of the world’s largest and most dynamic hotel groups, is pleased to share the highlights from its 2018 Community Action Month activities around the world. For the last 15 years, Radisson Hotel Group’s hotels, as well as its corporate and area offices, globally have dedicated one full month to make a difference in the communities they operate in by organizing various activities around its industry-leading Responsible Business program. This year, between them, all business units of the newly rebranded Radisson Hotel Group organized more than 900 activities in their local communities, dedicated more than 32,000 volunteer hours, and raised a total of USD 445,000 in cash and in-kind for SOS Children’s Villages and other local charities. “One in 10 children worldwide has lost or is at risk of losing their parental care. At Radisson Hotel Group, we are lending a helping hand to give some of these children food, shelter and a better future. Every day, more than 95,000 team members strive to make Every Moment Matter for our guests, owners, talent and for our local communities around the world. This special month of June, our teams engaged in fundraising activities, donations and great volunteering opportunities for SOS Children’s Villages,” said Inge Huijbrechts, Global Senior Vice President, Responsible Business and Safety & Security. 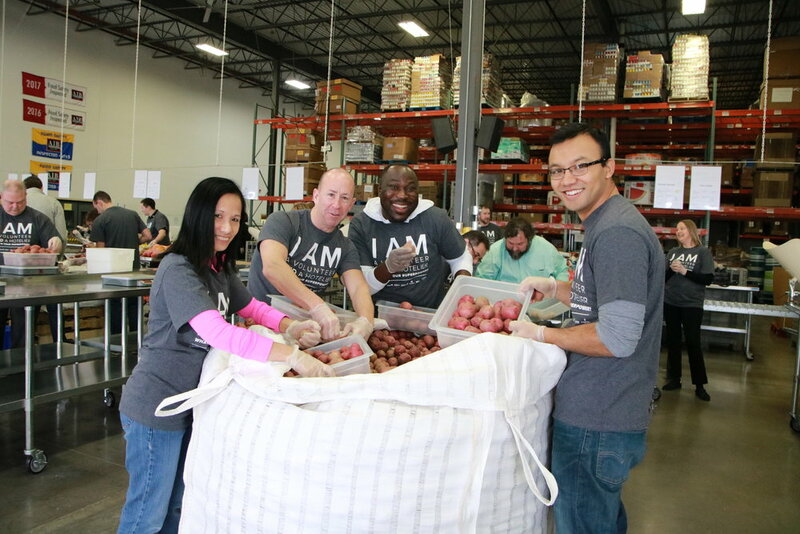 Some highlights of the 2018 Community Action Month included corporate employees of the group’s Americas HQ step-up/step-out to help the communities in the Midwest and beyond. They packed more than 8,500 meals for the local food banks and provided shelter by volunteering on the construction site, helping build homes for families in need and supporting the local shelter. During the group’s Asia Pacific Annual Business Conference, many of the company’s executive leaders visited a local orphanage and helped donate new mattresses, computers and even a guitar. Through their ongoing ‘Adopt a School’ initiative, the Radisson Blu® Resort Fiji continued to provide Food.Shelter.Future to 30 local schools. This June, the team visited one of the schools and donated laptop computers and books. The Radisson Blu Mammy Yoko Hotel, Freetown in Sierra Leone is participating in a range of projects, including a youth employment program via the internationally accredited Youth Career Initiative – making the hotel the first-ever nationwide to implement such a program. The group’s hotels in Tallinn, Estonia, sponsored and visited children of the local SOS Children’s Village, to offer in-kind donations of clothes and shoes. Radisson Blu Port Elizabeth Hotel in South Africa provided a ‘braai’ feast and a game of football. Throughout the year, Radisson Blu Hotel, Port Elizabeth has committed to support the SOS Children’s Village in maintenance work required on their property and their recycling program. The Radisson Blu Hotel, Hamburg Airport in Germany has provided SOS Children’s Villages Hamburg with help for a while. After a successful back-to-school support campaign, equipping the children for the new school year, the team provided food and catered for the local SOS Children’s Villages family day. The Radisson Blu Plaza Hotel, Oslo in Norway ran a successful Responsible Business lottery. The goal was to make everyone a winner, set SOS Children’s Villages on the agenda and allow our guests to win some great prizes. The lottery raised more than EUR 2,200. Radisson Hotel Group is encouraging each of its 1,100 hotels to sponsor the upbringing and education of at least one child per hotel and to establish meaningful relationships with the SOS Children’s Villages in their respective countries. The business leadership team of the group is contributing by privately sponsoring more than 50 children from SOS Children’s Villages. Radisson Hotel Group™ (formerly Carlson Rezidor Hotel Group) is one of the world's largest hotel groups with eight distinctive hotel brands, more than 1,400 hotels in operation and under development around the world. The Radisson Hotel Group portfolio includes Radisson Collection™, Radisson Blu®, Radisson®, Radisson RED®, Park Plaza®, Park Inn® by Radisson, Country Inn & Suites® by Radisson and prizeotel. Guests can benefit from the newly rebranded Radisson Rewards™ (formerly Club Carlson SM), a global rewards program that delivers unique and personalized ways to create memorable moments that matter to our guests. Radisson Rewards offers exceptional loyalty benefits for our guests, meeting planners, travel agents and business partners. Radisson Meetings™ offers a variety of fully-equipped meeting and event venues featuring fast free Wi-Fi, A/V technology and on-site contacts designed to make every event unique. More than 95,000 global team members work for the Radisson Hotel Group and at the hotels licensed to operate in its systems. SOS Children's Villages is the largest non-governmental organization focused on supporting children without parental care and families at risk. Founded in 1949, the organization today runs 2,300 programs reaching more than a million children, young people and adults in 135 countries and territories. SOS Children's Villages adheres to the principle that every child grows best in a family environment, with loving parents or caregivers, living together with their siblings, in a place they can call home. SOS Children's Villages works with communities, local partners and authorities to support disadvantaged families, thus preventing family breakdown. We aim to influence decision-makers to promote the well-being of children, especially of those without parental care. SOS Children's Villages also helps care for and protect at-risk children and families in around 20 humanitarian emergencies. Newer PostBookdifferent.com highlights Green Key as "greenest choice"